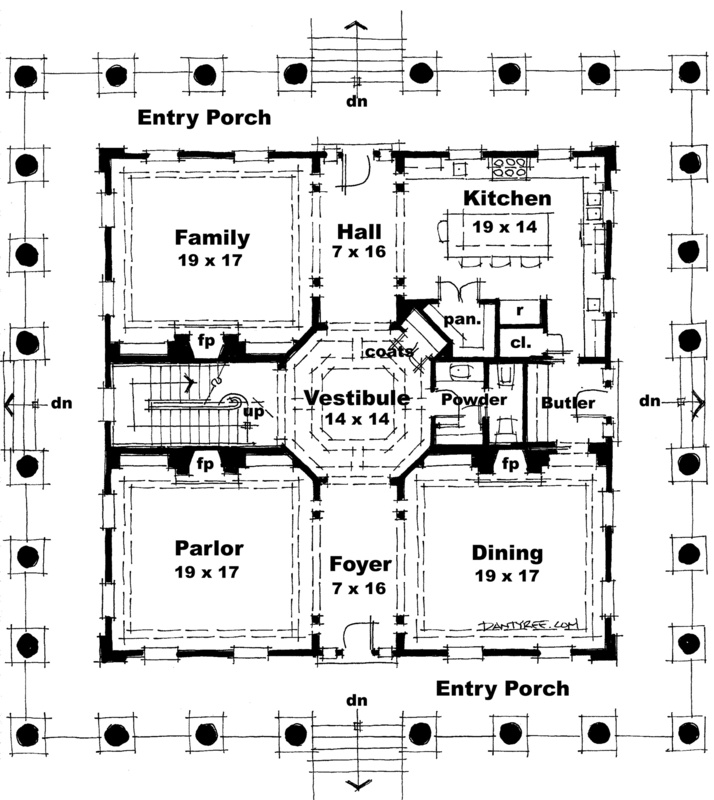 The Edward Stephen House Plan. 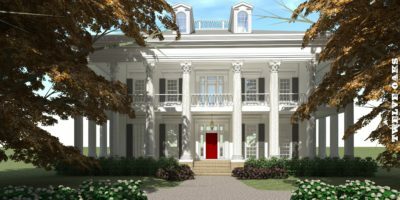 A classic Southern Plantation home. 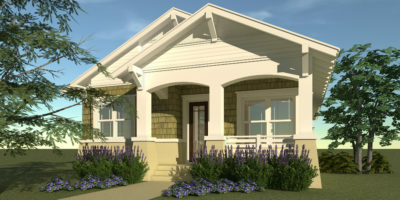 The large wrap-around porch shades all sides of the house, providing outdoor space for entertaining and relaxing. 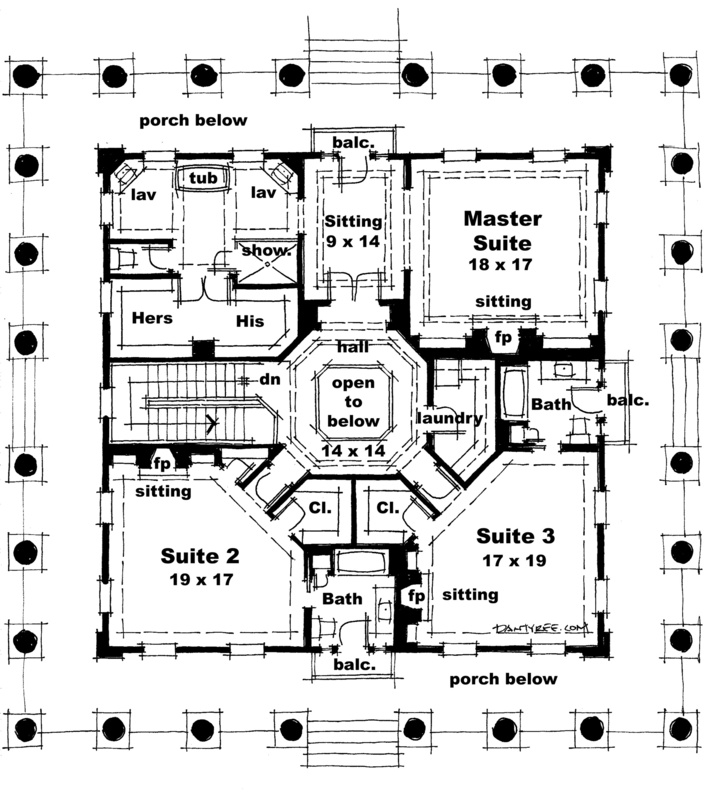 The interior of the home features 3 large bedroom suites, each having it’s own sitting area and fireplace. The living, dining, and family all feature fireplaces, large triple-hung windows, wood floors, elaborate moldings, and generous spaces for furnishings. Add the Plantation Garage to your order for a matching 3 car garage. In 2006, this plan was featured in The Orlando Sentinel. The roof is a flat membrane roof system, a plywood deck, and pre-engineered wood trusses. 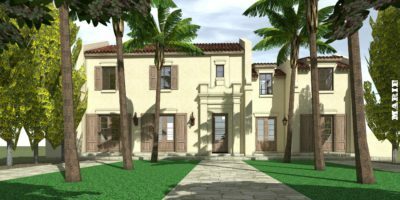 The exterior features corinthian columns, large detailed entablature, full-height triple-hung windows, sand stucco finish.